Blog | J&D Landscapes, LLC. Can you believe it is already September?! 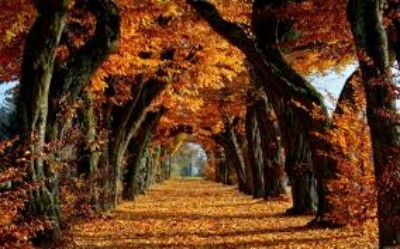 September 23d is the official first day of Fall, however, in some places leaves have already started changing colors and in others the leaves have already started dropping. Leaves dropping really kicks start the Fall season. Did you know leaving fallen leaves on your lawn is bad for your lawns health? Not raking or blowing fallen leaves off your lawn can cause brown patches and lawn disease such as snow mold. Snow mold can either be grey, white or pink in color and looks like webbing. Snow mold appears in early Spring as the snow starts to melt and goes away with hot, dry weather. In some cases, leaving the matted down leaves on your lawn can prevent your grass from properly growing in the Spring. Although the leaves are pretty to look at and fun to play in, keep your lawn nice and healthy by cleaning up the fallen leaves this Fall! Need some help taking care of those beautiful, pesky leaves this year? Our J&D crews are here to help!! The rate for our fall clean ups this year is $50/man hour. So for example if your clean up takes one hour with a four man crew, (60 mins x 4 men) = $200. The price can increase or decrease depending on how many man hours it takes to blow the leaves from your lawn, landscape beds, and other areas of your yard, if needed. It is recommended that you have us blow your leaves more frequently than not. It is usually more cost effective to blow smaller quantities of leaves more often than many leaves at once because it takes less time per visit and the leaves are kept up with throughout the season. Otherwise, larger quantities of leaves blown less frequently usually take longer and add up to more man hours. Not to mention weather variables (wind, rain, etc.) which make large quantities of leaves more dense and more difficult to blow. Space may be limited on the Fall clean up schedule. If interested, call today to ensure your fall clean up spot! Fall colors (red, orange, yellow, brown) are produced by the amount of sugars in the leaves. The leaves are dropping and soon the snow will be falling. Here in NE Ohio we never really know when it will hit. Even the weather men can’t properly predict it! As we all prepare for the winter months ahead, we at J&D Landscapes are gearing up for a winter of work. If you’re interested in having us snowplow for the 2018-2019 Winter season, please contact us no later than October 7th for your quote. We will be marking driveways beginning October 15th. Spots on the snowplow schedule may be limited and we cannot guarantee there will be openings after October 7th. Is your grass starting to turn brown, dry out, or just not looking as green as you may like? If so, your grass is going dormant. Grass will start to go dormant after constant heat and temperatures above 90 degrees Fahrenheit. Going dormant reduces the water usage of the plant and it relies on its roots for nutrition. With proper care and maintenance, your grass can and will stay green throughout the heat. Here are a few tips to keeping your grass nice and healthy during the hot summer months. Mow regularly and at a higher height – mowing at a higher height helps keep moisture locked into the soil. More than 1/3 the blade of grass should not be cut off at one time. Regular mowing not only achieves this rule of thumb, but keeps your grass looking well manicured. Regular watering – every living plant needs water and grass is no different. Watering your grass, especially during dry, hot weather will help the soil to maintain moisture. Feeding – lawns should not be fed while dormant, however, regular feeding during growing periods should be done every 6-8 weeks. Keep mower blades sharp – dull blades break the grass rather than give it a nice clean cut. Broken grass holds less moisture than a grass blade that is cleanly cut. Grass is a better producer of oxygen than trees and about three times more efficient!! Introducing our newest member to the J&D crew: Kaiden Pablo Konkle, owner/operator Joe Pastor’s newest nephew. Kaiden was born on June 22nd at 10:23am weighing 7lbs 6oz and 19.5 inches long. He will spend his days in the office with mom, Sara Konkle, learning everything J&D Landscapes has to offer, starting from the inside and working his way out. Uncle Joe better watch out, Kaiden will be coming for his job in the blink of an eye!! Ah, summer. The season most of us have been waiting for! The plants and flowers are in full bloom, the trees have gained their leaves, lawns have grown in, and the beauty is endless. Most of the summer is spent outside and you want to make sure your yard is looking great. Just like cleaning that needs to be done inside the house to keep it nice, presentable, and relaxing, your yard should also be well taken care of. Most services offered by landscape companies in the spring carry over into the summer; bush, shrub and tree pruning, flower planting, mulch and landscape installation, hardscape installation, driveway repair and general yard clean ups. Installing lawns can be done, however, they need a little more care in this hot weather as opposed to doing a spring installation. As always, we here at J&D Landscapes are available to answer your summer service questions on what may or may not be offered at this time. If your yard isn’t looking quite up to par yet this year, you should consider making some extra time to spruce it up a bit, or just give us a call and we’d be happy to do it for you! Completed Bed, tree and lawn installation, Middlefield Ohio June 2018. Take time to enjoy the little things in life this month; friends, family and nice weather. Whether you’re taking a much needed vacation, a trip to the beach, going to the closest water park, or just staying home, enjoy it! Add some beauty to your yard! Flowers are beautiful plants. With the varying colors, sizes, and smells, what’s not to love (unless you’re allergic, of course)? All plants have a specific season or time of year in which they thrive. Here is a list of a few summer flowers and plants that will grow well in your yard. One of the major changes to J&D Landscapes, LLC this year is the addition of an office position. With the addition of this position, new opportunities for the company have become available. In previous years, all phone calls have gone to owner/operator Joe Pastor’s cell phone. However, adding a land line inside the office ensures a more timely manner of responding to phone calls and keeps Joe focused on the job he is performing with the Landscape Enhancement crew in the field. The new phone number to reach J&D Landscapes is (440) 834-4443. All marketing and advertising will be changed accordingly. Joe’s cell phone will remain in service and he can still be reached personally at (440)319-8928. Another change we are looking into for this month is purchasing a newer dump truck. Our current dump truck has been of great use to us on the Landscape Enhancement crew but is becoming less reliable as it gets older. By purchasing a newer truck, we are better able to provide services with less down time. The current truck will remain in service until a new dump truck is purchased. After purchasing a new truck, the current one will be used to perform lighter duty tasks. J&D Landscapes offers all the services listed above and it is not too late to sign on for any service! In the last issue of our newsletter it was mentioned that we have two H2B employees from Mexico working with our Landscape Enhancement crew this year. Many people know about Mexicans coming to the United States to help with landscape work during the season, but don’t know much about the program itself. The H2B visa is a nonimmigrant visa that allows foreign nationals to enter the United States temporarily for employment. Every year there is a cap of 66,000 foreign nationals permitted to work in the United States. Although we are most familiar with Mexicans coming here to work, this visa is offered to any foreign national wanting to work in the United States. An employer looking to hire through the H2B program has to meet specific requirements that are regulated by the U.S. Citizenship and Immigration Services. There are four work categories that are to be considered when an employer applies for this program; seasonal, intermittent, peak load, and one-time occurrence. The category we are most familiar with, and that our H2B employees fall into, is the seasonal work category. In this category, the foreign national(s) that have been approved and accepted into the program are tied to a season by an event or pattern. Our landscape season here in NE Ohio typically starts around April 1st, weather permitting, and typically ends around October (also weather permitting). It is sometimes difficult to retain employees native to the United States. Utilizing the H2B program provides a way to reduce employee turn over so that we have consistent employees to work on your properties throughout the entire landscape season. April is here and you know what that means; warmer weather, plenty of sunshine, and landscape companies beginning to work all around. We here at J&D Landscapes have had a busy winter working on improving and expanding the company for not only our best interest but yours as the customer as well. J&D Landscapes, LLC has been providing exceptional landscape services from the Lawn Maintenance (mowing) and Landscape Enhancement crews for three years now and counting. Our company is accredited by the Better Business Bureau and also a member of the Ohio Landscape Association. The first change you will notice is right here, we have decided to start a company newsletter that will be sent out and posted monthly. This form of communication is a fun way to keep you updated on company happenings as well as provide you with landscape information you may or may not have already known. This is just the first of many advancements for J&D Landscapes this year. With this 2018 landscape season, owner and operator, Joe Pastor, is introducing a new position within the company! Joe has brought on Sara Konkle as his administrative secretary to help answer your phone calls in a timely manner and to assist him with completing the office tasks. However, in the first month of this landscape season (April), all phone calls will still go directly to Joe’s cell phone. Among the changes the company is implementing this year, a new phone number for contact will be going out in the next issue of the newsletter. Enough about the office, let’s talk about what you as the customer will actually be seeing this year! For starters, as I mentioned previously, J&D Landscapes, LLC has two crews that are out operating daily; the Lawn Maintenance crew and the Landscape Enhancement crew. Keep your eyes open fApril is here and you know what that means; warmer weather, plenty of sunshine, and landscape companies beginning to work all around. We here at J&D Landscapes have had a busy winter working on improving and expanding the company for not only our best interest but yours as the customer as well. J&D Landscapes, LLC has been providing exceptional landscape services from the Lawn Maintenance (mowing) and Landscape Enhancement crews for three years now and counting. Our company is accredited by the Better Business Bureau and also a member of the Ohio Landscape Association. Enough about the office, let’s talk about what you as the customer will actually be seeing this year! 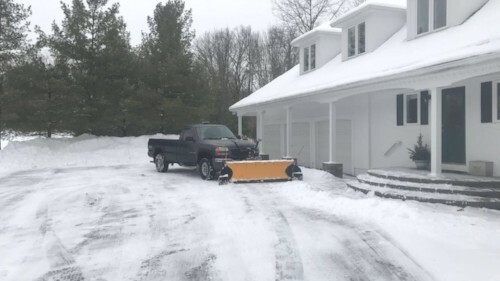 For starters, as I mentioned previously, J&D Landscapes, LLC has two crews that are out operating daily; the Lawn Maintenance crew and the Landscape Enhancement crew. Keep your eyes open for our company marked trucks in Geauga County and surrounding areas! Lawn Maintenance: This year we will have two men on our lawn crew, led by foreman Charlie Platia. The Lawn Maintenance crew cuts, trims, and keeps your grass looking great! With this crew on site regularly, they keep the Landscape Enhancement crew informed about the property and what needs taken care of. Landscape Enhancement: Our Landscape Enhancement crew will be run by formen Joe Pastor and Frank Foldesi. Joining the crew new this year are two H2B employees from Mexico. This crew handles installations of mulch, stone, hardscape, and attends to all areas of landscaping that don’t fall under mowing and maintenance. As always, we continue to work on training, educating and certifying our employees in everything they will need to best serve you and take proper care of your yard. We regularly send employees to the Ohio Landscape Association provided classes and look for advancement opportunities whenever we can. We are greatly looking forward to the start of the 2018 season and we here and J&D Landscapes, LLC hope that you are too! Enjoy the weather, family, friends and all the joy the Spring season brings.or our company marked trucks in Geauga County and surrounding areas! We are greatly looking forward to the start of the 2018 season and we here and J&D Landscapes, LLC hope that you are too! Enjoy the weather, family, friends and all the joy the Spring season brings. Besides the fact that mulch makes your yard look great, one of the best benefits of using mulch is that it retains moisture in the soil. Mulch will break down over time and actually add to the soil health. It also reduces injury of plants in the winter months, and in the spring and summer it helps with weed control. Before you install mulch, you should prepare the area by removing any weeds, sticks and debris. Mulch should be installed at about a 3″ depth. Leave a space a few inches away from tree trunks and plant stems when spreading. This will help keep the plants healthy and free from disease and insects. Using a pitchfork instead of a shovel makes the job easier. Locally there are a few companies that sell mulch such as TRC in Newbury, Sagamore Soils in Chagrin, and Hauser in Middlefield. Of course to make it easy, just order mulch through J&D! We can help estimate how much you’ll need. Give us a call at 440-319-8928 and ask about our special! Time to think about maintenance on your lawn equipment for the Spring! You’ll want to be sure your lawn mower blades are sharp so your grass gets cut cleanly. If they are not sharp, you can actually tear your grass which will give it a ragged appearance and leave it more susceptible to disease. Mower maintenance is something we always stay on top of. If you do not sharpen your blades yourself, or do not have time to do any equipment maintenance, there are mower repair places in our area. If you live near Chagrin Falls or Bainbridge, check out Chagrin Pet & Garden. Marshal Power Equipment is in Chesterland. If you’re in Chardon you can go to Alvord’s on Route 44. Remember to resharpen about twice every growing season.